Pregnant women must pay much more attention and consideration to their diet, because every single thing that goes inside your body also enters the body of your child. And there are certain items that can have potentially damaging and even fatalistic effects on you and the baby. We are the nutrients and foods we add to our diet, and naturally, the foods that you eat during your pregnancy will contribute to the development of your baby’s body. Pregnant mothers have to make very careful and mindful eating choices because what they eat will have long-lasting impact on the health and development of their child. It is crucial to create a well-balanced and mindful diet that will provide you all the nutrients and good-stuff your body needs to deal with the awful symptoms of pregnancy, for instance morning sickness, and to make sure the baby develops a healthy body and strong organs. There are several foods that all pregnant mothers must religiously avoid for the next nine months of their life, and we’ve listed them down below. 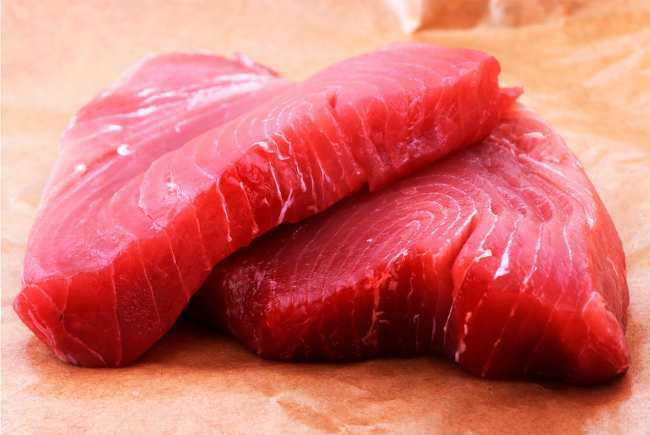 Pregnancy is not a good time to eat your fill of fish-based meals, and fish varieties, such as king mackerel, tuna, bigeye tuna, shark, tilefish, and swordfish, are particularly unhealthy because they tend to carry extremely high amounts of mercury, which is damaging for the health of the mother and the baby. Research reveals that excessive mercury exposure can lead to serious damage to the central nervous system of the baby, and it can also bring about impairments in his/her motor functions, psycho-social abilities and intellectual capacities. However, this by no means indicates that you should eliminate seafood from your diet entirely, just be sure you pick out fish varieties that are low in mercury and do not contain harmful contaminants. If you must eat fish, pick out safer varieties such as salmon and sardines, for they tend to be significantly lower in mercury and incredibly high in omega-3 fatty acids.